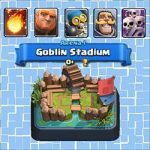 Great all skeleton tactic | Clash Royale fan-site! Home » BLOG » Great all skeleton tactic: “Skeleton party”! “Meet Larry and his friends Harry, Gerry, Terry, Mary, etc.”(c) Very funny and suitable description of Skeleton Army card from SuperCell devs team! As commonly known this card turns into small army that consists of 14 brave small skeleton. 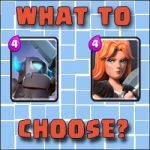 And as a rule, almost every Clash Royale player has this card in his deck because these brave small funny guys are good in defense against characters with a huge quantity of hitpoints (such as Prince, P.E.K.K.A., Giant, Golem etc.). Nevertheless, can they be useful in attack? Definitely yes! In this post, I wanna to share one tactic that I call “Skeleton party” and where the whole attack is built around these white small bony guys! 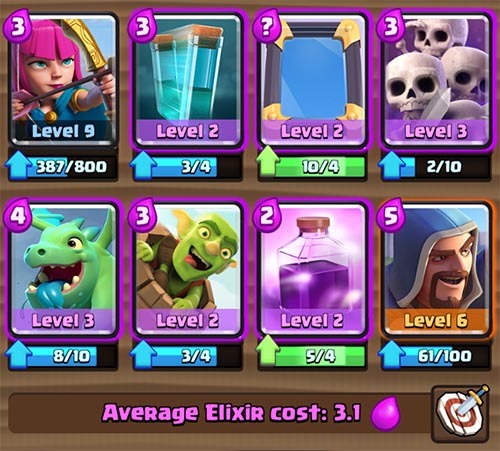 where Skeleton Army, Mirror, Clone and Rage are the main cards on which we will focus in attack (I’m sure that you’ve already caught the core :)) The rest of cards are for the defense mainly. 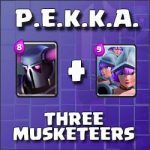 Such not difficult combination requires only 12 drops of elixir what is not too much as for 4 cards in Clash Royale. Believe me, if to choose an appropriate time and manage to lay all these cards onto arena there is a big chance to destroy at least one opponent’s tower in a few seconds! Such tactic works great in the moment when the opponent spent all his stock of elixir. How can we know when he did it? Just observation and calculation 🙂 An example. We know that Giant and Balloon require 5 drops of elixir. Therefore, if the enemy put both of them onto arena simultaneously – his supplies of elixir become very low and we can try to make our attack! Believe me, a few second is more than enough to smash at least one enemy tower. Here, in the video below you can watch a few such successful attacks in which I took the enemy by surprise. See you on the Clash Royale arenas! Tagged Skeleton, Skeleton Army, Tatcic. 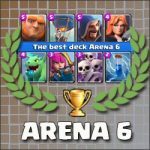 « Arena 8: the best Golem deck!